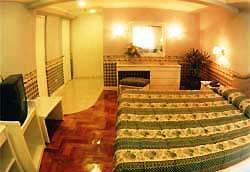 Cherry Blossoms Manila, this hotel is great value for money. Cherry Blossoms Manila have you stayed here yet? 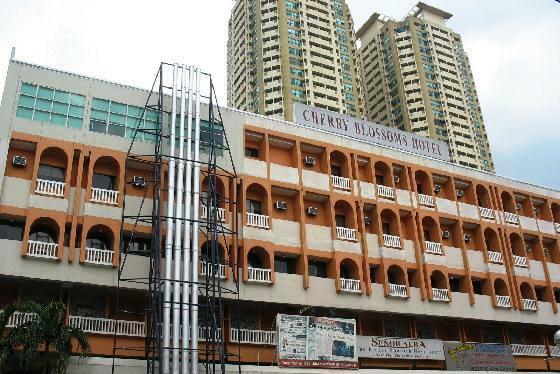 If you are on a very tight budget, Cherry Blossoms Manila may be the right hotel for you. This 143-room standard hotel is centrally situated in the heart of the Ermita district and conveniently right beside Robinsons Place, one of Manila's huge and upmarket shopping malls. It is also near the US Embassy, the international and domestic airports including SM’s Mall of Asia are just a few minutes ride away. 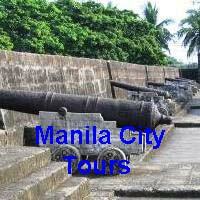 Aside from the adjacent mall, the hotel is also walking distance or a very short jeepney ride to some of the city's interesting spots - Manila Bay, Malate, Rizal Park, Intramuros and downtown Manila (e.g. Escolta, Binondo, Quiapo). If you need fast cash, ATM machines are only 30 seconds away from the main entrance and in full view of the hotel's security staff. Is the Cherry Blossoms Expensive? Rates start at US$20-40 per night, standard accommodation includes air-conditioned single or double rooms with telephone, refrigerator and cable TV, cable TV is everywhere and I don't think I have been to a hotel in Manila without cable TV! The rooms have recently been refurbished. The free breakfast package gives you some great choices, there are also a lot of Filipino dishes and for the westerner they serve great scrambled eggs. If you needed some laundry done, they deliver back the same day. New section or old section? Be mindful when you are booking, that the hotel is a mix of newer and older sections, the benefit is there are plenty of room options available in a variety of price ranges. Make sure you ask to see the room before signing in at reception. The two floor suites are a bargain, but there is a reason, they are a lot older and they show it. To get to get to these rooms, you have to walk through a dark, smelly, and very hot back alley. This is the area where cars park from the mall next door and the garbage can sit there most of the day and all of the air conditioner compressors run loudly expelling more heat. For $25 more, you can book into a suite in the newer building. I definitely recommend the rooms in the newer building. The newer rooms are spacious and clean, they also have large kitchenettes. It also has a king-size bed, all at an amazingly affordable price. The bathroom is also spacious and clean and includes a large shower room. Although, you may sometimes hear some traffic noise during the day since most rooms overlook a taxi terminal, it gets very quiet after pm. The hotel has an efficient front desk with friendly and helpful staff that are generally non-intrusive and you will feel safe here since Cherry Blossoms has ample security. For instant leisure, you can always catch a quick drink or sing a tune at the hotel’s karaoke bar. The beer costs the same as with other popular bars in Manila. The hotel is a far cry from the other hotels in the area; nonetheless, Cherry Blossoms Manila is still value for money, considering its prime location. The hotel is excellent value - hard to fault for the price. 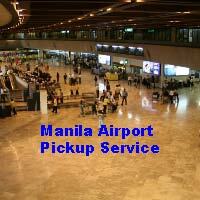 Now if you the Cherry Blossoms Manila does not interest you, click here for other hotel reviews in Manila.